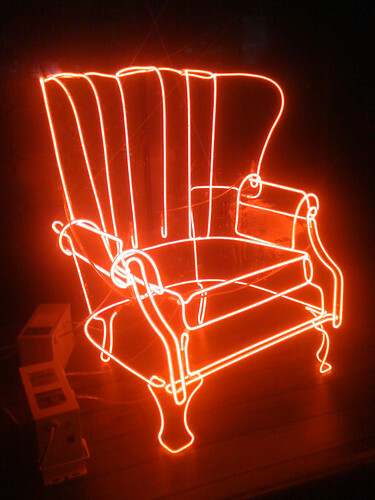 In my travels the other day, I stumbled upon this beautiful neon chair. *ka-blink! * Can I pre-order one of those in time for the holiday season?